This modestly influential master s/s from the Greenwich Village '60s set (he wrote Violets Of Dawn and Close The Door Lightly When You Go, to name but two titles), enjoyed a healthy modicum of success after a run of moderately well-selling LPs for Vanguard with his first album for Columbia, 1972's Blue River. Here it enjoys a timely reissue on BGO, in a two-disc set coupled with its intended followup Stages, of which, as the subtitle implies, the master tapes were initially lost (they subsequently turned up in the Columbia vaults in 1989, and were eventually released in 1991). I think this is the first time these two albums have appeared on CD coupled together in one sensible package, and all tracks have been remastered in 2014 for this new BGO release, the well-filled booklet for which, in addition to the original extra notes for Stages' 1991 appearance, contains a new essay by John O'Regan that grants a useful perspective on this often undersung figure who to date has released well over 25 albums yet without gaining mainstream recognition despite producing work of consistent, enduring quality. Blue River is often considered by critics to be Andersen's creative masterpiece, and contains a number of songs regarded by critics as central to his output, songs that display his quintessential, trademark quality of delicate "resigned fractured romanticism": Is It Really Love At All?, Sheila, Wind And Sand, and of course the disc's title song (which features some beautiful backing vocals courtesy of Joni Mitchell and Deborah Green Andersen). These are complemented by the Dylanesque More Often Than Not and the gospel-style arrangement of Round The Bend. 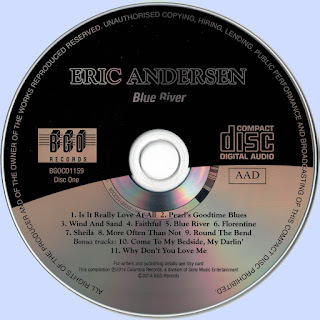 The latest reissue of Blue River is usefully supplemented with the same two bonus tracks recorded at the album sessions which were a feature of the album's 1999 Sony Legacy CD edition: the tender Come To My Bedside, My Darlin' and the rollicking cajun-inflected cover of Hank Williams' Why Don't You Love Me?. 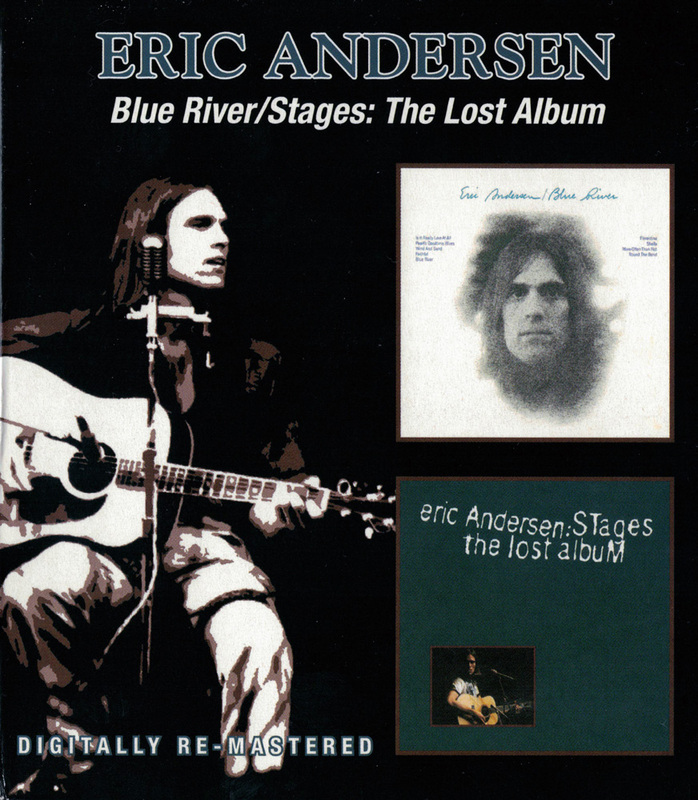 It's widely acknowledged that Stages is of such quality that if it had appeared at the time (instead of being lost) it might have given Andersen a degree of mainstream acceptance and capitalised on the success of Blue River. Its opening song, Baby I'm Lonesome, was a particularly lovely example of the classic country waltzer, and the gentle backdrop proved just perfect and an ideal template for the rest of the album, on which a host of top-drawer session musicians, including Leon Russell, David Briggs and Kenny Malone, were used commendably sparingly. The overall standard of Stages' songs was such that no fewer than six of its songs were deemed so worthy of not being lost that they were reworked for Andersen's 1975 Arista album Be True To You; these naturally included Moonchild River Song and Woman, She Was Gentle (which featured Joan Baez on backing vocal), and the evocative 8½-minute meditation Time Run Like A Freight Train. Sure, there were a couple of rather mundane rockers tucked in there amongst the exquisite gems, although the third rocker, Wild Crow Blues (in praise of Patti Smith), was more convincing. The three bonus tracks for this reissue are identical to those that graced the 1991 CD. The first, Dream To Rimbaud, is the pearl of the collection, and was recorded at the same time as the Blue River album, whereas the final three cuts (Make It Last, Lie With Me and Soul Of My Song) were recorded in late 1990, shortly after the 1989 comeback album Ghosts Upon The Road and just prior to the eventual release of the Stages tracks; the backing crew on these tracks includes Rick Danko, Garth Hudson, Eric Bazilian, Andy Newmark and Shawn Colvin. Together, these two albums represent Andersen's craft at a peak, encapsulating a mature, bittersweet attitude to life and love that was rarely equalled even amongst Andersen's peers. Congratulations to BGO on this expertly remastered and well presented new edition.